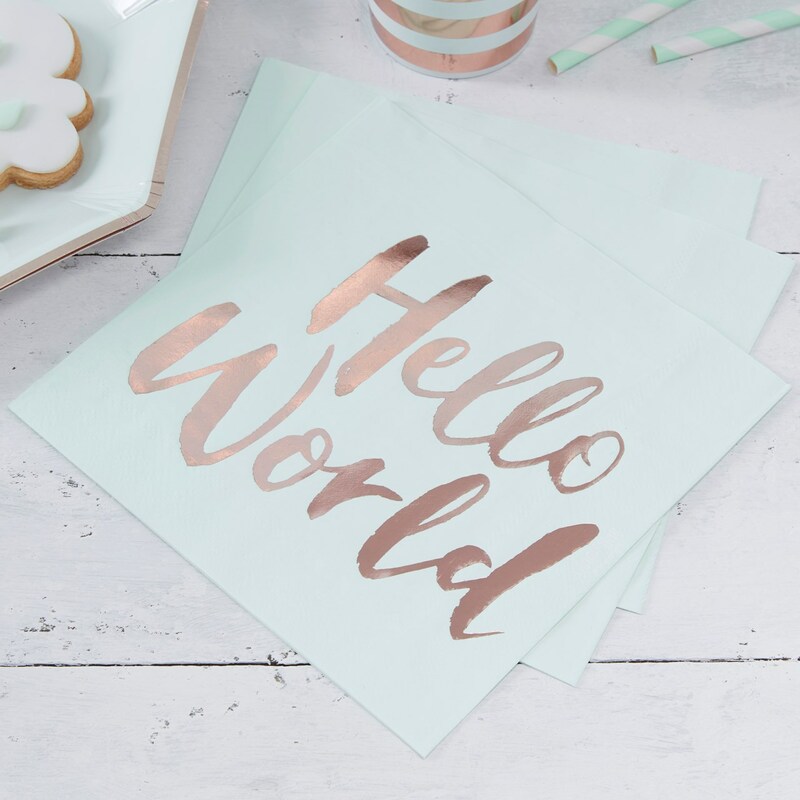 These lovely mint green Hello World Paper Napkins are perfect for all Baby Showers. Use alongside our Hello World plates to serve tasty treats to your guests. The trendy rose gold foil shines beautifully creating an elegant, chic Baby Shower - sure to be remembered and enjoyed by all your family and friends. Each pack includes 20 napkins which measure: 330mm when folded out. Napkins are 3 ply.